The Built-in Intelligence Filter is Fujifilm's proprietary technology that automatically detects the image type and improves it: for example, it automatically removes "red eye", adds brightness and contrast in case of blackout, and much more. The cost of the film is quite expensive. The Instax SHARE SP-3 was created specifically for people who actively use the social network Instagram: square photos are optimized for Instagram's image format, and a lot of built-in filters will help to make each picture unique in its own way. 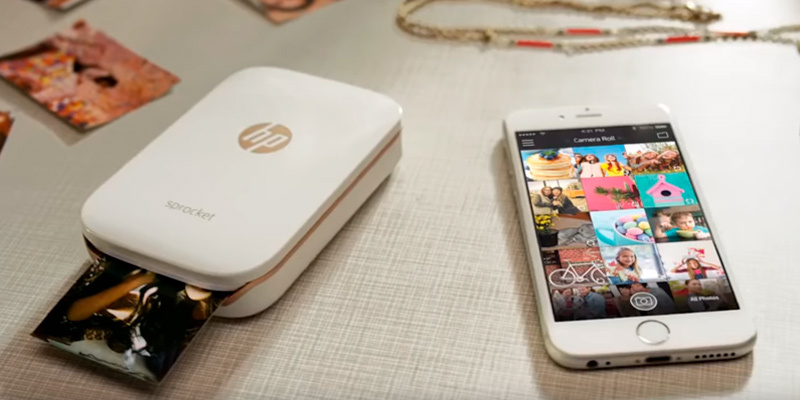 4.6" x 5.1" x 1.75"
The Hp Sprocket App has advanced functionality, as it allows you to take photos from videos and story lines (especially popular today in various social networks). Built-in editor allows you to improve the image before sending it to print. Some users note insufficient color saturation. 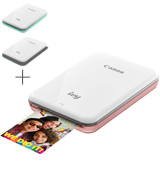 If you have a lot of high-quality and interesting photos on your phone and you want to print them to create a thematic photo album, purchase this portable printer: with it you can print photos of small and medium sizes thanks to the built-in tile print function. 2.95" x 4.57" x 0.91"
The paper used to print here is resistant to finger marks (Smudge-Free), as well as water- and tear-resistant. The reverse side of the photo paper has an adhesive layer, so that the image can be easily glued to any surface, and also simply removed without a trace of glue. The battery life leaves much to be desired. 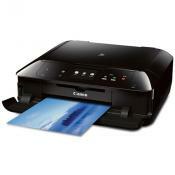 Canon introduced the smallest and lightest mobile printer that easily fits in your pocket or bag. So, it will always be on hand to instantly print your newly captured photos and share them with friends who also got into the frame. 3.2" x 4.7" x 0.7"
On the case, LED indicators are provided that indicate the status of the gadget: for example, the status indicator notifies you of the photo printing progress, and the charging indicator will show you that the battery is fully charged. 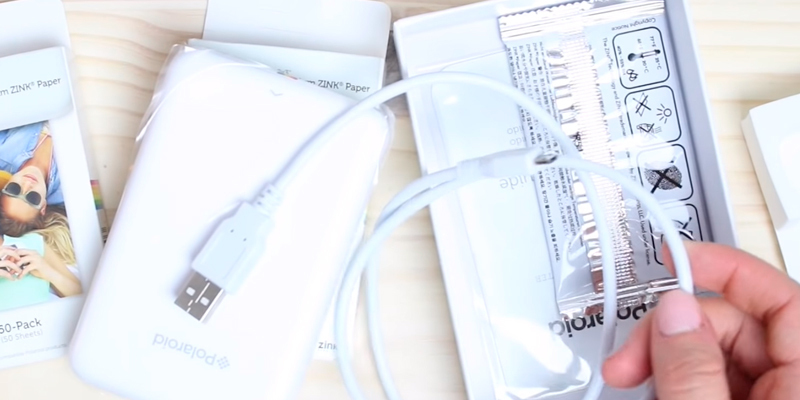 By the way, the charging cable is already included in the kit. The app interface is not very intuitive. The Polaroid company is one of the leaders among photo and printing equipment, and their mobile version of this printer will also pleasantly surprise you: bright and clear pictures, easy connection and printing, as well as a stylish case design - it is truly a joy to use. 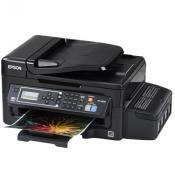 For printing, photo paper of 2.1 "x 3.4" is used here - an order of magnitude larger than other similar mobile printers. And the print resolution of ~ 610 x 720 dpi guarantees the highest detailed images. The printing process is quite long. This model uses a unique 4Pass printing technology: each of the colors is applied to paper separately, with the result that you get a contrasting and saturated picture that does not fade and does not tarnish over the years. 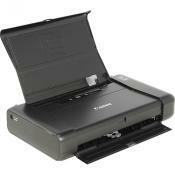 A revolutionary solution for mobile printers! 3.1" x 5.1" x 1"
Back in the old days, people used to have photo albums for their physical photos that could be flipped through while reliving their most cherished memories. Nowadays, social media has replicated the photo album feeling, giving people a public place to share their photos without needing a large, bulky physical book that occupies a lot of space. However, sometimes it is nice to be able to share a photo both through social media and with a physical copy, which is where a good portable photo printer comes into play. 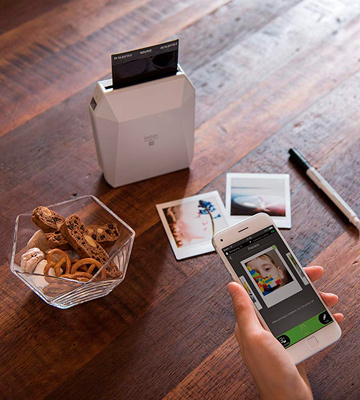 The Fujifilm Instax SP-3 Mobile Printer is a great device for sharing your social media photos with your friends, letting you print out a physical copy of photos that can be kept as keepsakes. This portable printer features a square photo size of 2.4" x 2.4", allowing the photo format to perfectly match your photos from Instagram. For those who use this social media service, this printer is the perfect solution for sharing physical copies of photos from there. Of course, that doesn't mean that it is limited to working with photos only from Instagram. It also works great with sharing physical photos from other social media sites as well, including Facebook, Google, Pinterest, etc. Simply having the ability to print physical copies of photos is great for such a device, but it also adds a bevy of additional features that really let you personalize each photo printout. 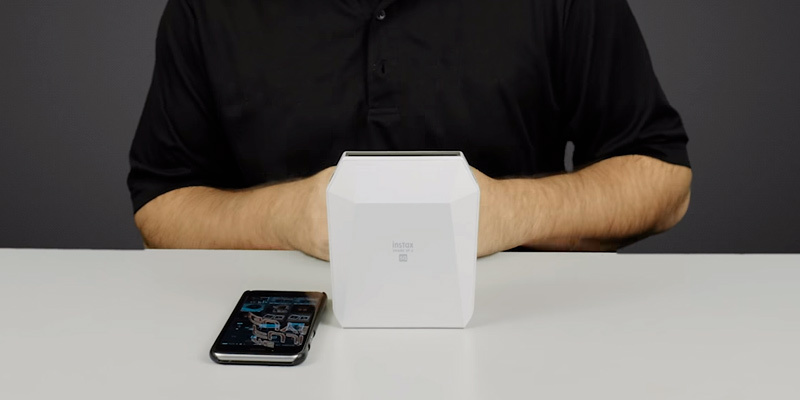 The device works with a mobile app that is compatible with both iOS and Android devices, and which allows the printer to connect to your phone through Wi-Fi. This is a great feature for those with older or lower end phones that don't have good Bluetooth or NFC connectivity. The photos not only can be printed, but you can also tag each photo with a personalized message with the #Tag Print mode, letting you create a photo printout with flair and character. 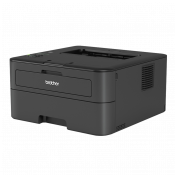 The quality of the photos printed through this device is exceptional, as the printer features a very high 318 DPI with a 80 μm dot pitch, letting your photos appear sharp and crystal clear. 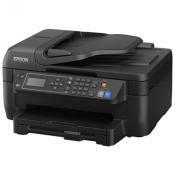 The printer uses 3 color OLED exposure, ensuring that your photos have sharp and deep colors that don't suffer from washout or blurring. 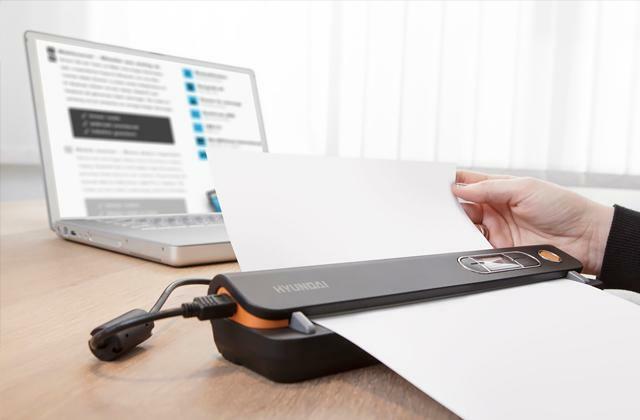 The device supports up to 10 photos with the card stock, giving you an ample amount of photo printing capacity, and the battery should last long enough to let you print out the entire stock on a single charge. Anyone who would love to share their Instagram photos with personalized messages to their friends will certainly love this wireless mobile printer. Although most popular social media sites allow users to create their own online digital photo albums, there is still something unique and special about having an old-style physical photo album that simply can't be captured online. Having a special book containing your photos is nice, as not only do you have the visual memories, but physical albums also give a tactile experience that simply isn't possible with digital photos. Hence, why having a good portable photo printer is a great idea. 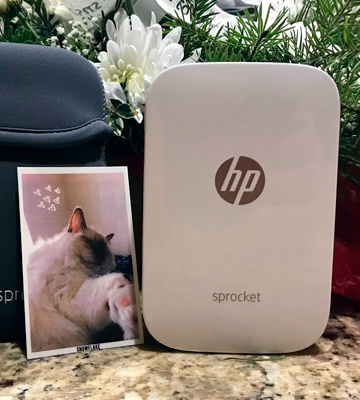 The HP Sprocket X7N07A Portable Photo Printer gives you the ability to easily create your own physical photo album from images that you capture from your mobile device. 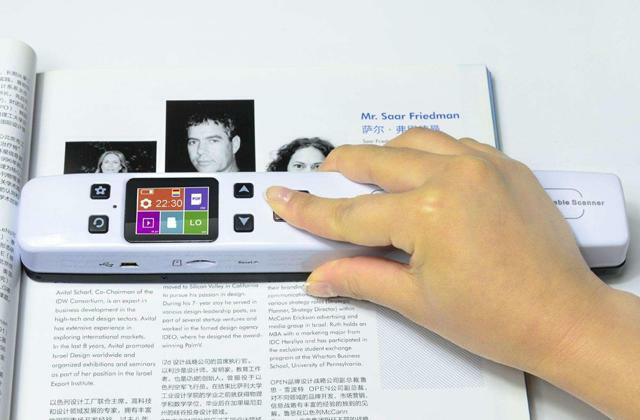 What is really handy about this particular device, though, is that it is able to use a special sticky-backed photo stock for printing your photos, letting you print and then instantly insert them into a book or album. Not only that, but you can also put the photos anywhere, such as on a wall, mirror, or other surface, and still have the ability to easily remove them without worrying about glue sticking on the surface. Using this special paper gives you a flexibility of use with the photos that you don't get from other portable photo printers. 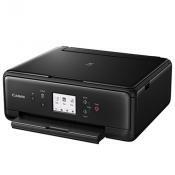 Another great aspect of this particular photo printer is that the mobile app allows you to easily integrate it with your social media accounts. Photos that you have on Facebook or other social media sites can now be instantly edited and printed, allowing you to edit and mark the photos in just the way you want, with a variety of effects available. You can then personalize each printed photo for a specific person, allowing you to give customized photo gifts to your friends and family that they will be sure to love. The photo stock used is 2 x 3 inches, giving you small but perfectly sized photos that are crisp in detail thanks to the photo printer's 313 to 400 dpi. The photos that you print will look just as good as physical film stock, with vibrant colors and sharp details. 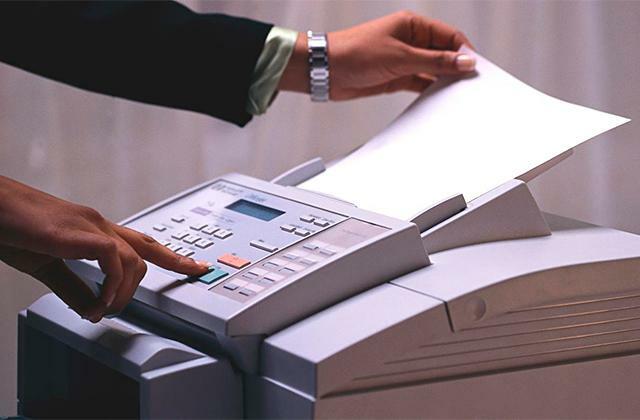 The printer can easily connect to your mobile device using Bluetooth technology, letting you instantly connect and print without any difficulties. 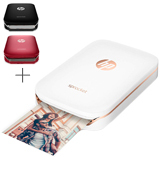 The printer comes with 10 sheets of the HP ZINK Sticky-Backed Photo Paper, giving you a good amount of photo stock to immediately use, and also includes a Micro-USB charging cable. 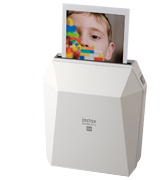 Anyone looking for a great portable photo printer will love the flexibility and performance of this device. Many of those who are experienced with printing digital photos are quite familiar with the limitations that are often encountered. 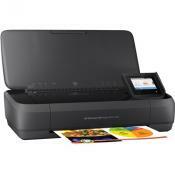 Many of these limitations can range from the quality of the photo stock to the inks used for printing. Smudged and blurred prints have been quite a common occurrence, and those who require high-quality printed photos know how aggravating it can be to have to handle a freshly printed photo gently, for fear of ruining the print. This can be especially true of portable photo printers, but thankfully not all of them are stuck with these limitations. 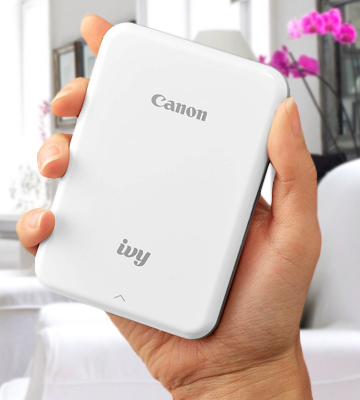 The Canon IVY 3204C001 Mini Photo Printer prides itself in being able to create not only high-quality photo prints, but ones that are highly durable as well. 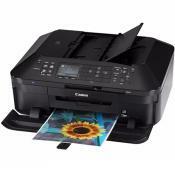 Thanks to the special photo stock used with this printer, users can be assured of having high-quality printed photos that are free from smudges or blurs. 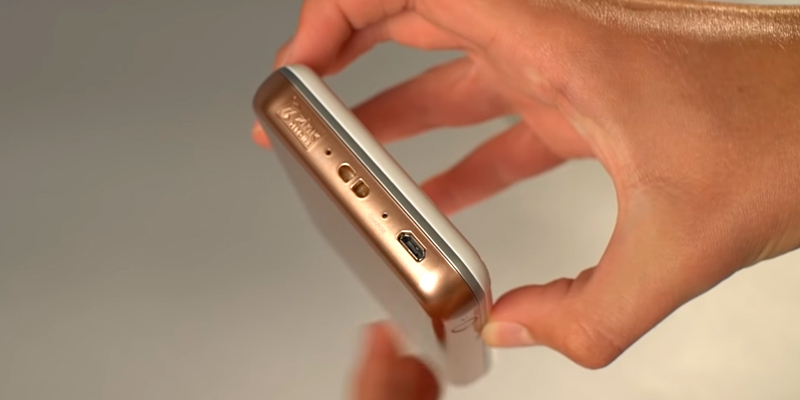 What's more, this device is small enough to fit in your pocket, letting you take it with you wherever you go. 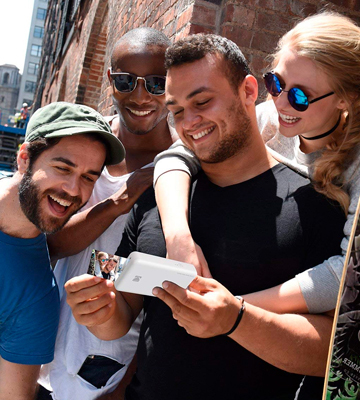 Durable, high-quality photos never have to be more than a few inches away, letting you instantly print from just captured snapshots to have the memories to share with your friends and family. 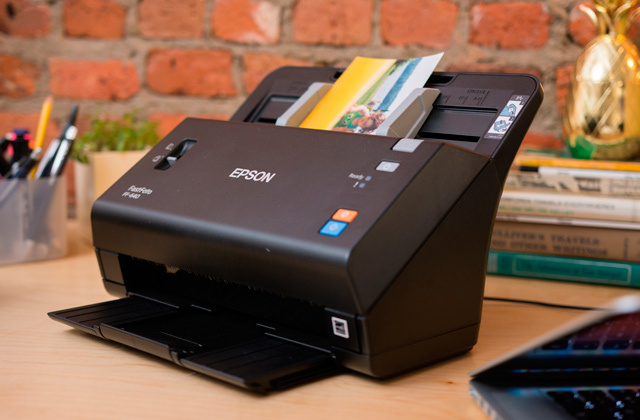 Just being able to print high-quality and durable photos is enough of a selling point of this device, but there are plenty of extra features to be had as well. 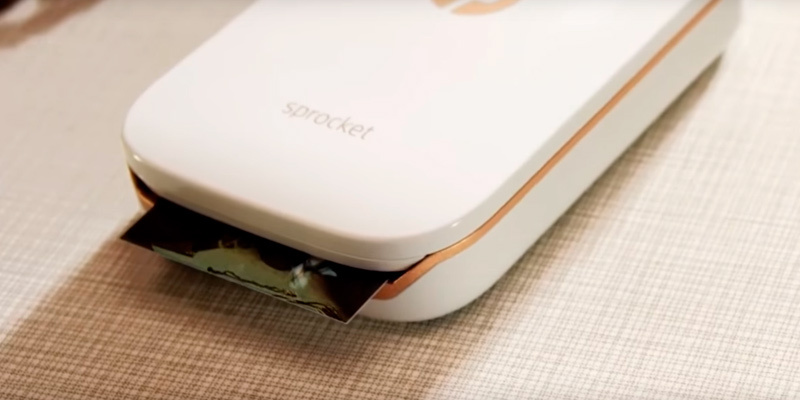 This portable photo printer uses special sticker-backed photo stock that lets you peel and stick the photos just moments after you take them. This is especially useful for situations where you and your friends are creating a photo album while travelling or site-seeing, letting you construct the album on the spot. Or, you can take photos to give as presents to friends and family, complete with customized messages, and they can in turn put the photos anywhere they want. The printer uses 2 x 3 inch photo stock for printing, which is plenty large enough to have a high-quality image, yet small enough to give you great flexibility in what to do with the printed photos. 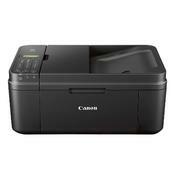 The printer connects to your mobile device through Bluetooth along with the Canon Mini Print App, which works on both iOS and Android devices. The printer uses the special ZINK Photo Paper which can be easily purchased along with your printer, and later as you require more. 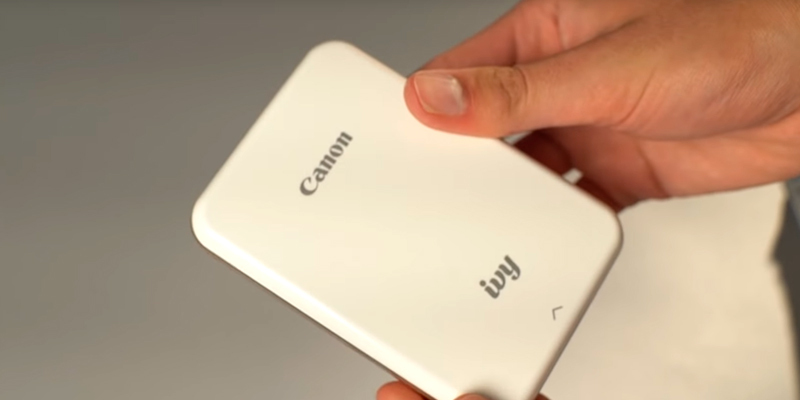 For those who value being able to print durable high-quality photos while on the go, this pocket sized printer from Canon is sure to please. Although the advent of digital photography has caused them to take a back seat in recent years, Polaroid was by far the most well-known name in instant photos in years past. The special Polaroid cameras were able to take a snapshot and have a physical photo ready in just minutes, giving rise to a huge instant photo industry that lasted for many years. Although the Polaroid cameras of old have given way to digital cameras on mobile devices, Polaroid continues the great tradition of instant photos with a line of high-quality portable photo printers. 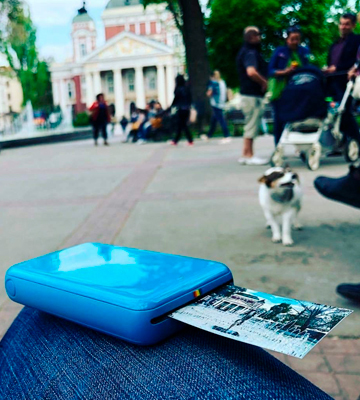 The Polaroid Zip POLMP01W Photo Mini Printer continues this great tradition by allowing users with mobile devices to take snapshots and then instantly print them anywhere, ensuring that physical copies of their recent snapshots are no more than a few seconds away. 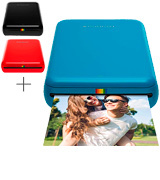 This special portable photo printer is small enough to slip in your pocket and take with you anywhere, and the specially colored case gives it a sleek, fun look that is sure to draw the attention of your friends. 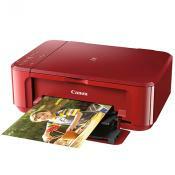 Just take a photo, pair the printer with your mobile device via Bluetooth, and then print your photos. 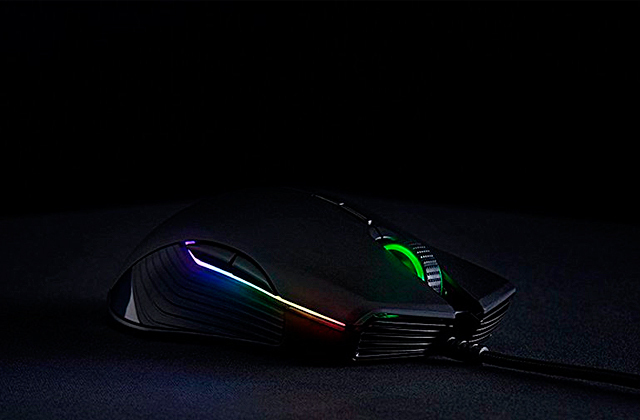 Going from concept to reality takes just the span of a few seconds with this device. Although most people may think of portable photo printers as not being especially high-quality devices, nothing could be further from the truth where this device is concerned. This printer is capable of reproducing your favorite photos in stunning detail, with rich, vibrant colors and crystal clear image quality. 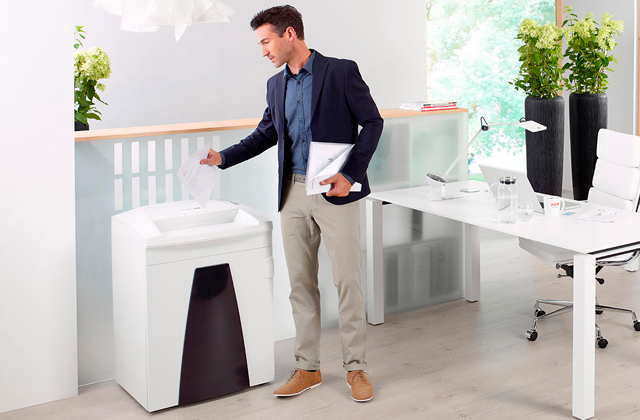 The printer uses the ZINK ZERO INK printing technology to print out photos without using ink, ensuring that your high-quality prints remain high-quality even after being handled. There is no need to worry about smudging or blurring the photos, even after they are freshly printed. 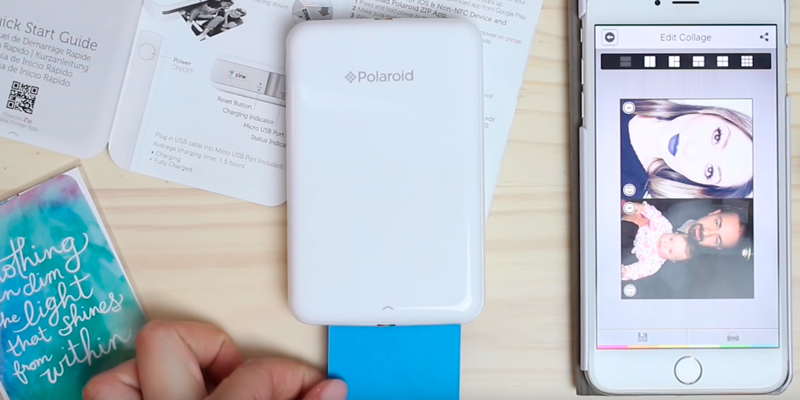 This Polaroid portable photo printer connects to your mobile device through a free Polaroid mobile app, which lets you print photos directly from multiple sources, whether it be from your social media pages, or your mobile device's photo library. The app works on both iOS and Android devices, so most mobile devices should be compatible. 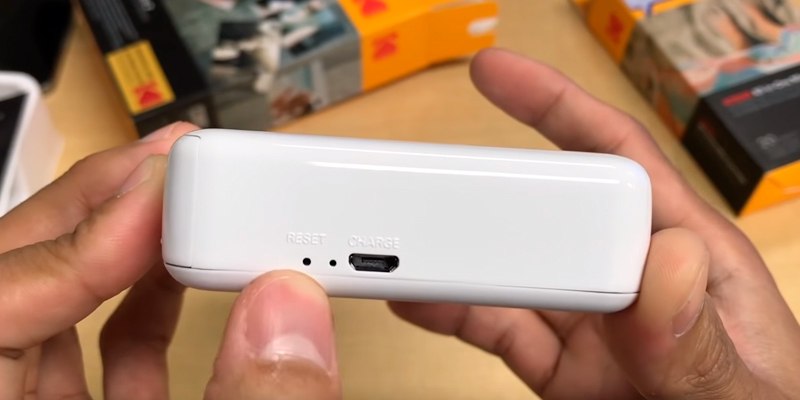 The battery life of this device is also great, as it can print up to 25 different photos on a single charge, which should be more than enough for almost any situation. 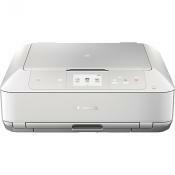 Anyone who needs a great wireless mobile printer will do well to stick with the best name in instant photos. Kodak is one of the best known names in photography, ranging from the old days of physical film to modern times. They have been widely known to always have the best quality products, and in recent years this has extended to their line of printing and imaging products. This same high-quality reputation has been well earned, and it is carried on with their Kodak Mini 2 Instant Photo Printer. 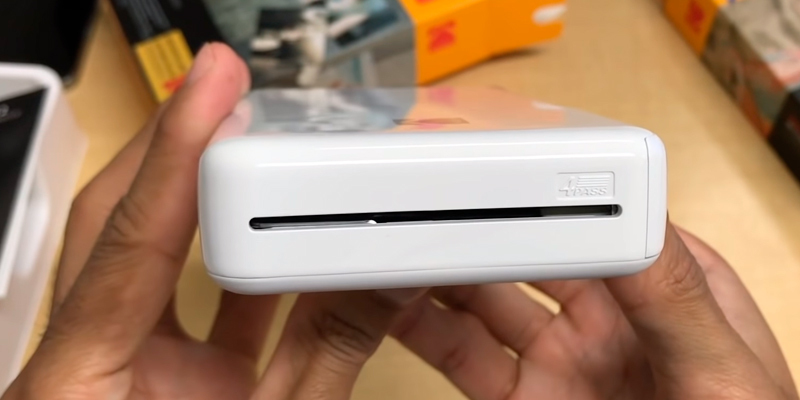 This small, highly portable photo printer carries with it a big reputation as being a high quality imaging device, and for good reason: it regularly provides users with the best quality printed photos. 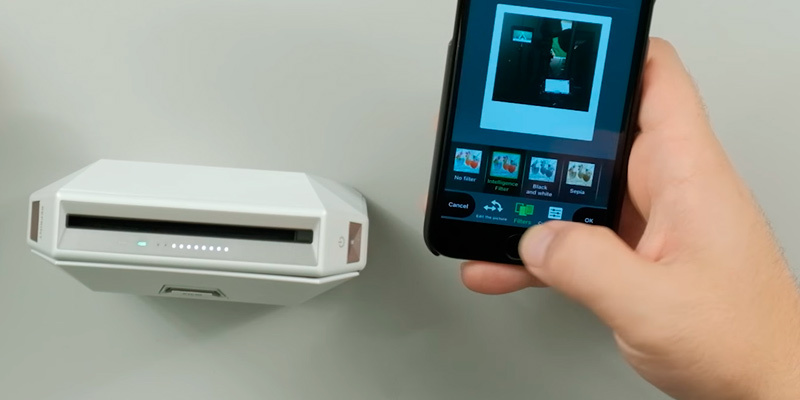 This device lets you print 2.1 X 3.4 inch photos directly from your iOS or Android device with help of the free Kodak Photo Printer app. Simply take your photos, pair the printer to your mobile device, and you have instant access to premium quality photo prints all in a matter of seconds. The high quality of the printed photos comes thanks to the innovative 4 PASS D2T2 Dye Transfer Method that gives you highly detailed photos with rich colors and premium sharpness. The photos are printed using a special ink that dries instantly, meaning that you don't have to worry about careful handling of a freshly printed photo. 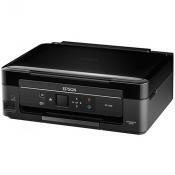 One of the best features of this high-quality digital photo printer is that it is easy to connect and use with your mobile device. 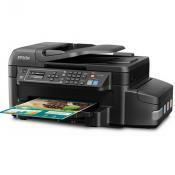 The printer supports pairing either through Bluetooth or through NFC, meaning that your mobile device should be able to instantly recognize the printer and automatically pair with it, giving you an instant connection. From there, operation is a breeze thanks to the intuitive interface of the Kodak Photo Printer app, which gives you a plethora of options for customizing your photos. 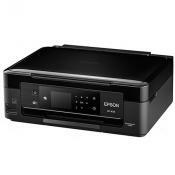 Another great aspect of this printer is how it combines both the ink and photo stock in one unique and easy to handle package. The Kodak MC cartridges combine both the ink and photo stock together, ensuring that you don't have to deal with replacing different parts whenever you use up your existing stock. Replacing the cartridges is a snap, taking just a second to do, and the consumables can be easily purchased once you run out. The refills are available in increments of 20, 30, and even 50 photos, ensuring that you always have a stock of photo and ink handy. 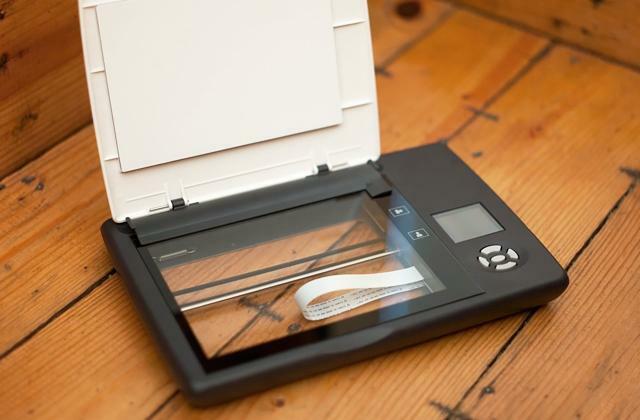 With all of the conveniences combined with the ease of use of this device, anyone who wants instant printed photos while on the go should give it a try. 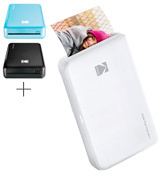 What Is a Portable Photo Printer? Anyone over the age of 40 probably remembers Polaroid or other instant photo cameras - cameras that would take photos and then instantly develop them on some kind of photo stock. They were a great way to capture and share memories instantly long before the age of digital photography. Nowadays, people tend to keep most photos digitally, only sharing them through social media apps. While there is plenty of positive to be said about this aspect of digital photography, sometimes having a physical photo is worth more than its weight in gold. This is where portable photo printers come in. They are devices that allow you to instantly print a physical copy of a photo that was taken with a mobile device, generally a smartphone or tablet, and they provide a great way to share a physical copy of a photo that your friends or family can hold onto as a keepsake. Sharing physical photos can be a wonderful thing, as for instance, you can write your own personalized message on the back of the photo to help aid the memories that they captured. If you prefer to keep your photos digital, then perhaps you would be interested in finding a great digital photo frame for displaying them at home or in the office. 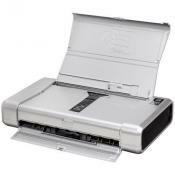 Portable photo printers are not necessarily new, as they have existed for a number of years, but with each year, they continue to gain in features and picture quality. Old photo printers printed low resolution photos that were barely passable, but recent models are able to print photos in high enough quality to rival that of real film stock. Of course, there tends to be much more to many of the models than just the ability to print photos. When looking for a good portable photo printer, it would be helpful to be aware of the different features and characteristics that they have so you can choose the best model of portable photo printer for yourself. 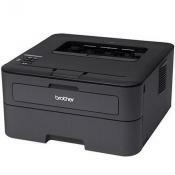 The primary characteristic that you will want to look for is the connection type that the photo printer uses to connect to your mobile device. 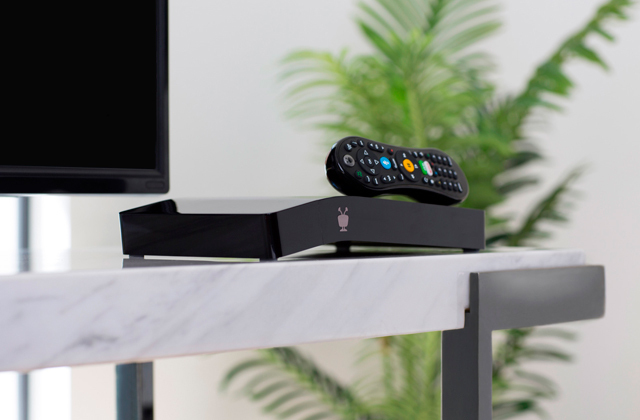 Some older models used a physical connection through the USB port, but new models have done away with that in favor of wireless connectivity. 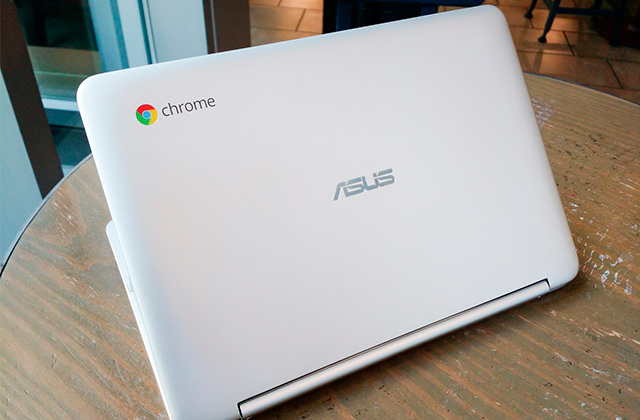 Some models will use Wi-Fi to connect, whereas others will use Bluetooth or even NFC. 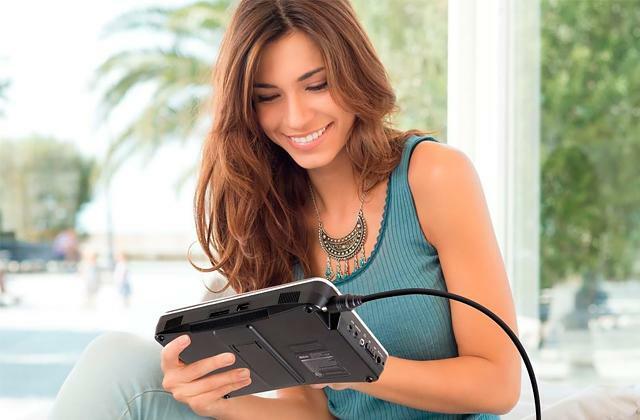 It is best to check the connection type of the model you wish to buy to make sure it supports the same connection as your phone. 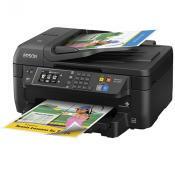 Another very important characteristic of the photo printer is its compatibility with mobile devices. Most popular mobile devices use either iOS or Android as their operating system. The vast majority of portable photo printers will support both OSes, but it is best to make sure that the one you choose is compatible with your phone or tablet. Of course, as portable photo printers will be creating physical copies of your photos, you will want to make sure that they are printing the best quality photos possible. The resolution and photo size will both be important characteristics to look for here, as a high resolution will ensure that your photos will retain their high quality. 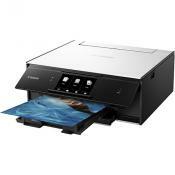 Photo capacity is important to know, as this will tell you how many copies of digital photos you will be able to print. Most portable photo printers do not have a large capacity, with the ability to print between 8 to 10 photos on average, so you will want to make sure you have extra printing materials handy should you plan on printing more than a handful of photos. 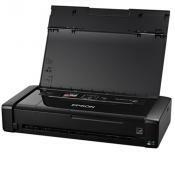 Last but not least, the battery capacity of a photo printer is an important characteristic to be aware of. Rather than a typical charge time, photo printers tend to measure their battery capacity in terms of the number of photos that can be printed. Being aware of this number is a good idea before you purchase a model. Printed Photos: What Are They Good For? In today's age, digital photography has taken over from the old days of physical film and photo stock. There's a good reason this has happened, as digital photos are an order of magnitude easier to handle than physical photos. Instead of having stacks of photos to carry around, most people can fit hundreds or even thousands of photos on one small device. 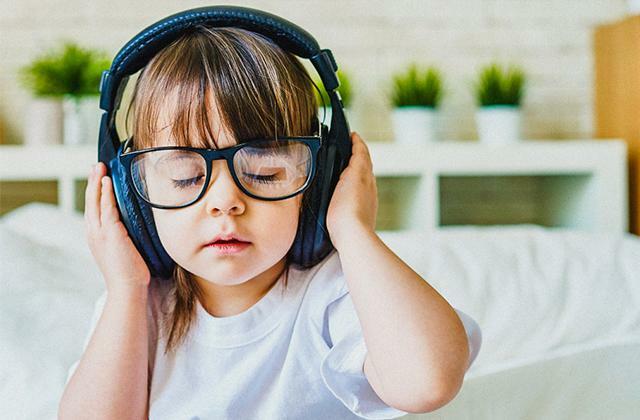 What's more, digital photos are much easier to edit, with many advanced tools available for providing minor but important corrections, such as removing red eye, brightening dark areas, and even cropping and resizing. Of course, just because digital photos have almost entirely replaced physical photos doesn't mean there is no more use for the latter. Far from it, in fact. If anything, digital photography has made things easier for physical photos as well, giving us a wide range of uses for something such as a portable photo printer. If you are looking for some fun, creative ideas on what to do with your printed photos, then read on for some great suggestions. Anyone who grew up with a physical photo album knows just how special they can be. Although even old photos can now be scanned and stored digitally, having the tactile feel and smell of a physical photo album can help give us more vivid memories than just looking at a digital picture. With a portable photo printer, you can create your own physical photo album as you go, giving you and your loved ones a great way to help document your wonderful memories together on the spot. In fact, with a printed photo, you don't even need to use a huge, bulky standard photo album for this. If you are using photo stock with a sticky back, you can create a wonderful photo album just with a regular scrapbook, giving you plenty of creative ways to adorn your album. Some people have an unbridled creative side to them that always needs to manifest itself in some way. One way for photo lovers to do this is to create a physical photo or art collage using printed photos. Simply use a piece of thick stock within a picture frame, and you can use your printed photos to create a wonderful collage. Using digital enhancements and other editing tricks, you can even create them in wonderfully creative ways that simply aren't possible with real photo stock. Do you have a room that badly needs some decorations? 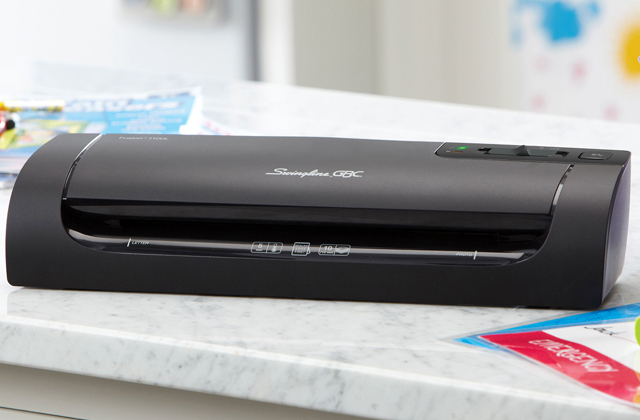 Look no further than your portable photo printer. You can take some unique and wonderful photos, or even find professional photos online, and print them out to use as decorations in your room. Line up photos along the edge of your mirror, or create patchworks of creative designs out of photos, and you can instantly brighten a bland room with minimal time and effort. Although the ideas above are some of the most popular uses for printed photos, many people can think up their own unique and creative ideas for them. Simply use your imagination, and bring to life a wonderful work of art made of your most precious memories!